Bikram Parmar salesperson helped me in every aspect. He is very professional and detailed oriented. I have been through many dealerships but crown Automax was easy to deal with. Staff members are very friendly. Thanks crown automax and specialy bikram for helping me with my problems and questions. Staff was super friendly and accommodating, made buying my first car, 2012 Volkswagen Jetta super easy. Highly recommended. Bikram was an excellent sales person. Dealt with Bikram made it easy to purchase the vehicle, got it the same day. Noah and Arlin you guys are awesome. This ia my 4th car from Automax. Highly recommended. And Garrett always there too to assist. Thanks again guys. It was so good dealing with Crown Automax and Bikram. They definitely helped a lot in my first car purchase! Dealt with Bikram -- made buying a car pleasant and easy. Great service and very helpful. Would deal with them again and would encourage friends to do so. Thank you! 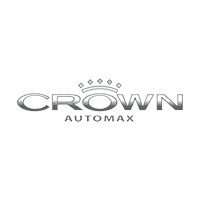 Crown Automax is a member of Manitoba’s most progressive Automotive Network – The Crown Auto Group – part of the Winnipeg Fabric for over 30 Years. We are Winnipeg’s Foremost Car Dealer of Pre-Owned Vehicles dedicated to finding Top-Quality Used Cars, Used Hatchbacks, Used Hybrids, Used Trucks, Vans or Used SUVs for our Customers. The Right Car. For the Right Price. At the Right Time. That is the Crown difference. Visit our Dealership’s Online Showroom to see a full-line inventory of Used 2010 to 2016 and Older Models. And – get full and easy Financing through our own Crown Credit Solutions. You can Book an Appointment online, request a Test Drive or get more information. Come into Crown Automax and experience what we call – Crown CARMA! You’ll be greeted by a courteous and friendly Sales Team, prepared to answer all of your auto questions. We will even help you shop and compare our other Crown Auto Group Dealership’s inventory! We are The Big Yellow Home of Manitoba’s Best Selection of Used Vehicles! Whether you are looking for Used Cars, Used Hatchbacks, Used Hybrids, Used Trucks, Vans or Used SUVs – we Promise to treat you as if you were an honoured guest in our own home. And, to make you feel even more comfortable and relaxed, we offer soft seating Lounges with Hot Beverages, TV, WiFi, Child Activity Areas, and full Customer Shuttle Services. We want you to know that you are always welcome here! Please Contact us today. Looking for Used Cars in Winnipeg? At Crown Automax, we constantly offer Special Deals on Used Cars, Hatchbacks, Hybrids, Trucks, Vans and SUVs at Winnipeg’s Lowest Prices – We will NOT be Undersold! Get your Trade-In Value by using our Canadian Black Book-powered calculator. Whether you have Bad Credit, No Credit, or have experienced Bankruptcy, Finance your new ride with Easy Approval from our own Crown Credit Solutions. We will help you find the vehicle that suits your situation and your Budget. As part of The Crown Auto Group – we can offer you the Best Quality of Service on ALL Makes and Models, by referring you personally to any one of our Expert Body Shops like Crown Auto Body & Glass and any of our Acura, Honda, Nissan, Toyota, and Mazda Dealers. They ALL feature facilities are State-of-the-Art and use Environmentally-friendly Products. They are MPI Accredited for all of your needs from Dents and Scratches, to Windshields and Major Collisions. We’ll get you back on the road safe and fast! When you Buy at Crown Automax – You Choose to Buy at the Best Backed-Up Service in the Pre-Owned Business! We also offer a State-of-the-Art Tire Storage Facility so you can swap your All-Season Tires for Winter Tires in the Fall – where we clean and Store them – and switch them back in Spring for your Seasonal Tires without any hassle!